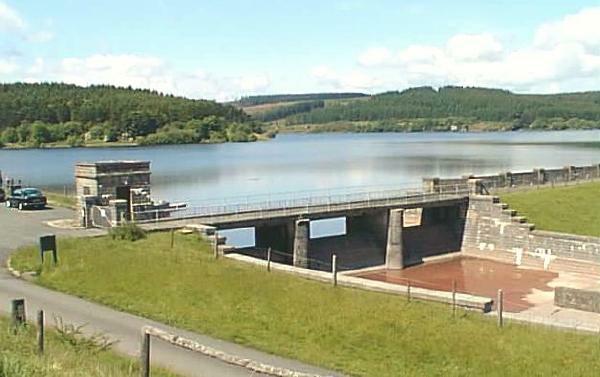 The Usk Reservoir forms part of Swansea's water supply system. 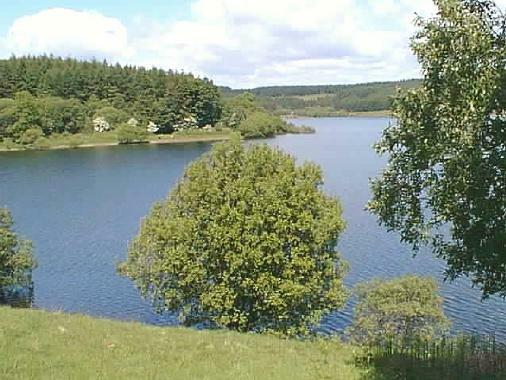 The construction of the reservoir began in 1950 and was completed in 1955. 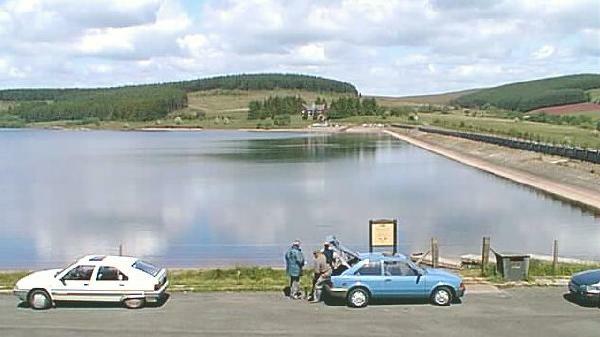 The reservoir was officially opened by Queen Elizabeth II in August 1955. Above: Approaching the reservoir dam from the valley of the River Usk. 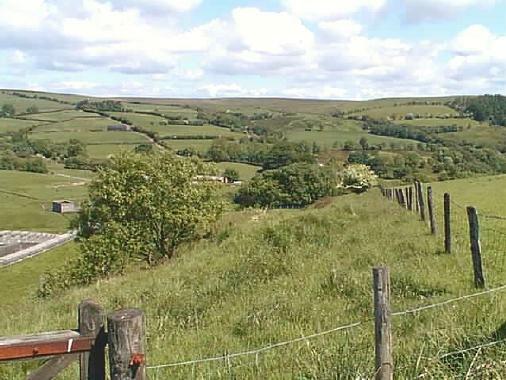 Above: The valley below the dam. 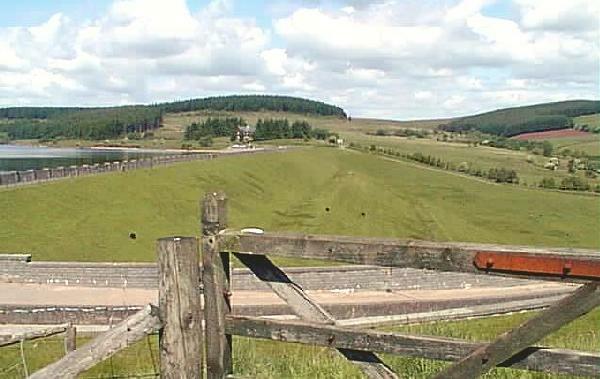 Above: The dam is in the form of a grass-covered earth embankment.